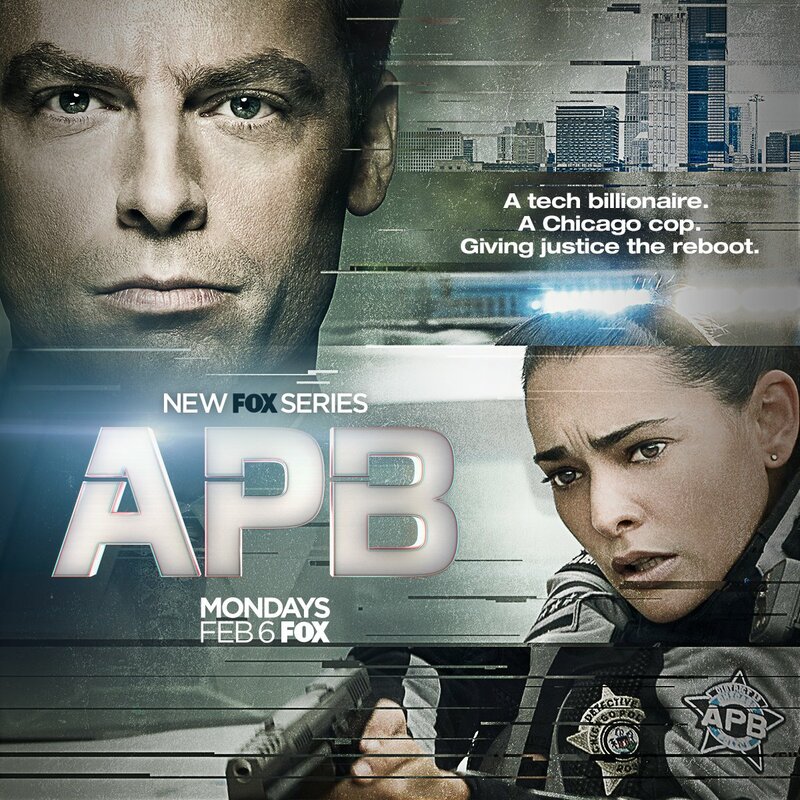 Inspired by the New York Times Magazine article “Who Runs the Streets of New Orleans,” by David Amsden, "APB" is a new police drama with a high-tech twist from executive producer/director Len Wiseman (LUCIFER, SLEEPY HOLLOW) and executive producers and writers Matt Nix (“Burn Notice”) and Trey Callaway (“The Messengers”). After his best friend is murdered in a botched attempted robbery, and the killer remains at large, Gideon demands justice. Putting up millions of dollars of his own money, he makes an unprecedented deal to take charge of the troubled 13th District – and reboot it as a technically innovative police force: better, faster and smarter than anything seen before. With Gideon himself having created the department’s cutting-edge technology, this eccentric yet brilliant outsider challenges the city’s police force to rethink everything about the way they fight crime. But the near-overnight transition to becoming the city’s most advanced police district isn’t easy. 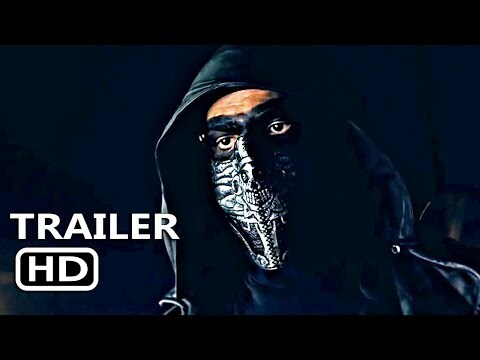 Gideon knows if he’s going to change anything, he needs help, which he finds from DETECTIVE THERESA MURPHY (Natalie Martinez, “Kingdom,” “Under the Dome”), an ambitious, street-smart cop who is willing to give Gideon’s technological changes a chance. With the help of Gideon’s gifted tech officer, ADA HAMILTON (Caitlin Stasey, “Reign”), he and Murphy embark on a mission to turn the 13th District – including a skeptical CAPT. NED CONRAD (Ernie Hudson, “Grace and Frankie,” “Ghostbusters”), and determined OFFICERS NICHOLAS BRANDT (Taylor Handley, “Vegas,” “Southland”) and TASHA GOSS (Tamberla Perry, “Boss”) – into a dedicated crime-fighting force of the 21st century. 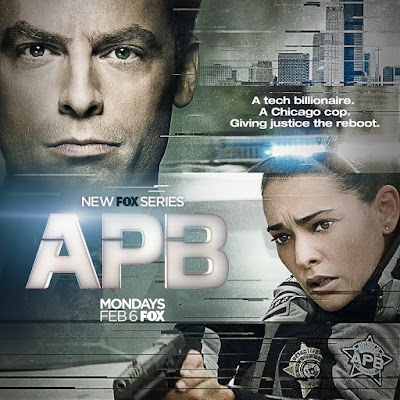 APB is a production of 20th Century Fox Television. Len Wiseman, Matt Nix, Trey Callaway (“Revolution,” “CSI: NY”), Todd Hoffman (“The Confirmation”), Dennis Kim, and Robert Friedman (“The Confirmation,” “Spring Broke,” “Give”) serve as executive producers. Wiseman also serves as director on the series. “Like” APB on Facebook at facebook.com/APBonFOX. Follow the series on Twitter @APBonFOX and join the discussion at#APBonFOX. See photos and videos on Instagram by following @APBonFOX.